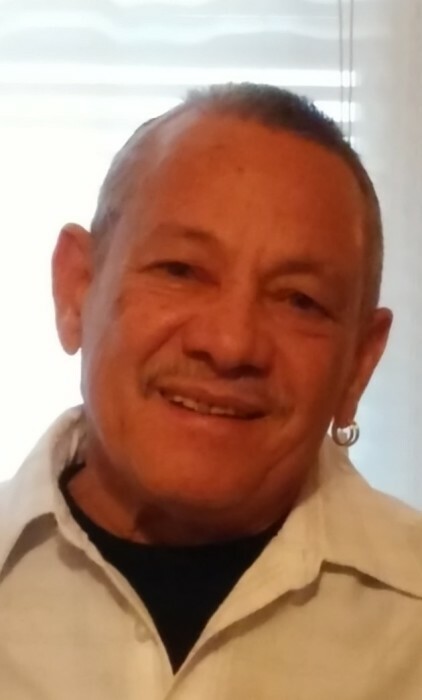 Leominster - Pablo L. Serrano Rosado, 69, of Leominster died March 23, 2019, in HealthAlliance Leominster Hospital, after being stricken ill. He was born June 25, 1949, in Ponce, Puerto Rico, son of the late Esmeraldo Serrano and Juna Rosado. Pablo worked as a manager at ESP Lock Co. He is survived by his long time girlfriend; Gladys Torres, the mother of his children; Maria Mendez, four sons; Andy Serrano of Fitchburg, Pablo Serrano Jr., of Springfield, MA, Melvin Serrano of Springfiled, MA and Nelson Ortiz of Fitchburg, two daughters; Margerie Serrano of Revere, MA and Erika Serrano of Worcester, MA. along with his grandchildren; Yalameries, Jordan, Andy Jr., Jonathan, Mateo, Joey, Sorell, Genesis, John Luke, Kevin, Lindsay, Pablo Luis Sr., and Selena. Pablo will have calling hours Thursday, March 28th, 2019, from 8:00 a. m. - 11:00 a.m. in the Wright-Roy Funeral Home, Inc., 109 West St., Leominster, MA with a Funeral Service beginning at 10:00 a.m. in the funeral home. Burial will follow in Forest Hill Cemetery, Fitchburg, MA.